Autor/en: Krumpholz, Peter / Lababidi, Tarek / Bayer, Manfred / Dahlgren, Lars Uwe u.a. In this project the problems of adequacy of educational institutions to the demands of the life of work are addressed. It is done in a way that enables the researchers to investigate the “human dimension” of the “human capital” issue – from the perspective of a learning person. At stake here is not only what education makes of people, but also what people make of education, i.e. the perspective is that there is a mutual interplay between institutions of higher education and the students and teachers that populate them. Another assumption is that the same educational initiatives might bring different results in different cultures. In this project, students in higher education are viewed as “journeymen” between the cultures of higher education and work life. By studying students as individuals and as members of a culture the aim is to gain a better understanding of the relationships between cultural, educational and work life contexts. The main aim is to enhance the understanding of learning strategies that students and novices apply within and across different learning environments (education and work life). Our intention is to describe students’ experiences of transitions from higher education to professional life in different European countries. A further purpose is to study the development of students’ and novices’ values and worldviews. 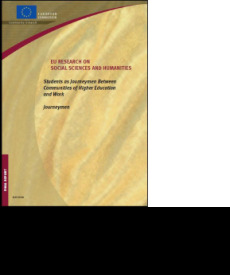 A major focus will be on the cultural diversity of academic and work institutions in some countries in Europe. The final aim is to carry out a multilevel and critical analysis of the relationship between the formulated policies for higher education and the way students and professional novices experience higher education.